Hedgehogs sleep in the winter, hibernating until spring. 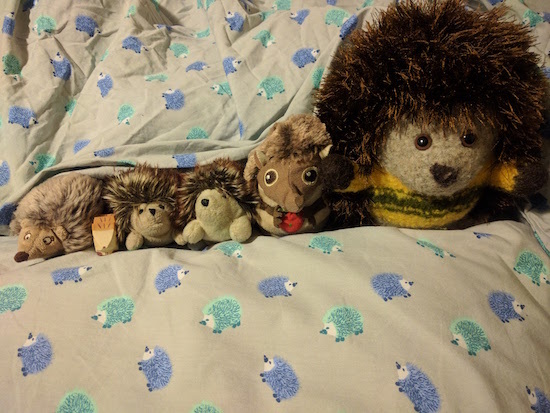 Good night, hedgehogs!! I love teh hedgehog sheets!!! Where can I get some for my bed? My name is Harriet. I am 7 years old and live in Toronto where there are, unfortunately, no hedgehogs. On my blog, I will write facts about hedgehogs and find pictures of them, and post pictures of the hedgehogs that I draw.